A friend of mine said that: "the easiest way to spot a tourist in San Francisco is they wear shorts during the summer." I would've heeded that advice if only he mentioned this before we made the trip to SF, and not after the shoot was done. But can you really blame us for under-dressing? We left Los Angeles in the middle of a heat wave. So sweaters were the last thing on our minds. But thank goodness that we weren't the only ones who came unprepared. Maricar and Chester, who both flew in from Texas and Minnesota also came in ready to soak up some sun. We all came expecting warm weather but was greeted by Karl the Fog, who, interestingly has his own Twitter handle that are silly enough to make me want to open a Twitter account just so I can follow him. Just in case I have a shoot in SF and if I wanted to know if he's going to be mean and rain in on my parade. No pun intended. Also, here's an interesting tidbit about Karl the Fog. He was actually named after the giant from the Tim Burton movie, Big Fish. But be it rain, snow or sleet. If you have a couple as fun and adventurous as Chester and Maricar, then everything is a walk in the park. 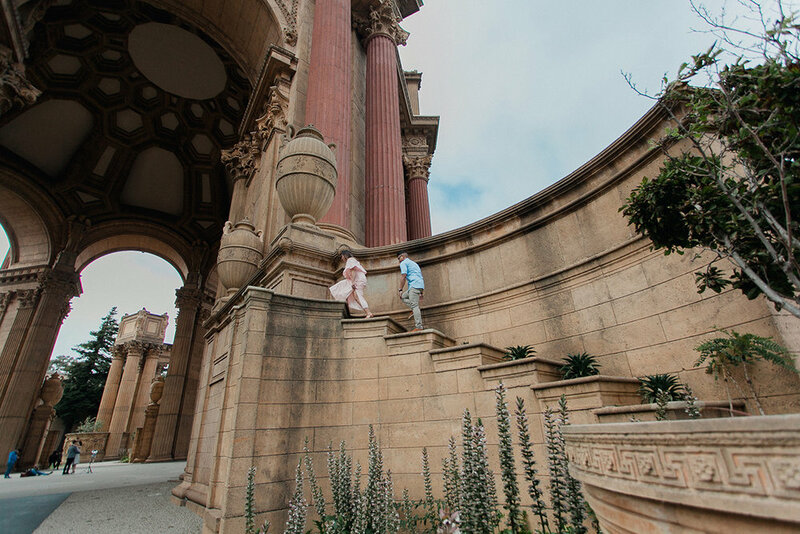 Our first stop was at the Palace of Fine Arts where the gorgeous Rotunda became the central backdrop for them. The planters that looks like steps that adorned the Rotunda was also put to good use. And as Maricar and Chester came to find out, it’s not a shoot unless we get a shot from the top of one of the planters. 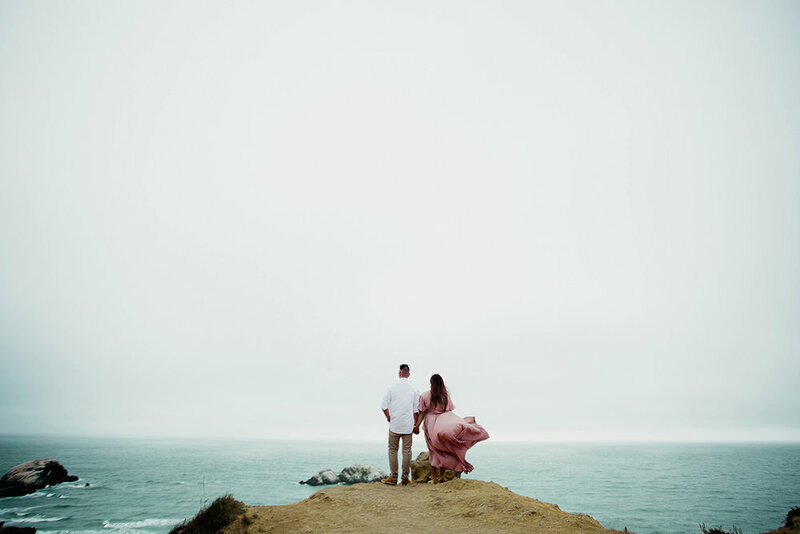 So they calmly braved the wind and the height, and is one of the images that were a highlight for me. 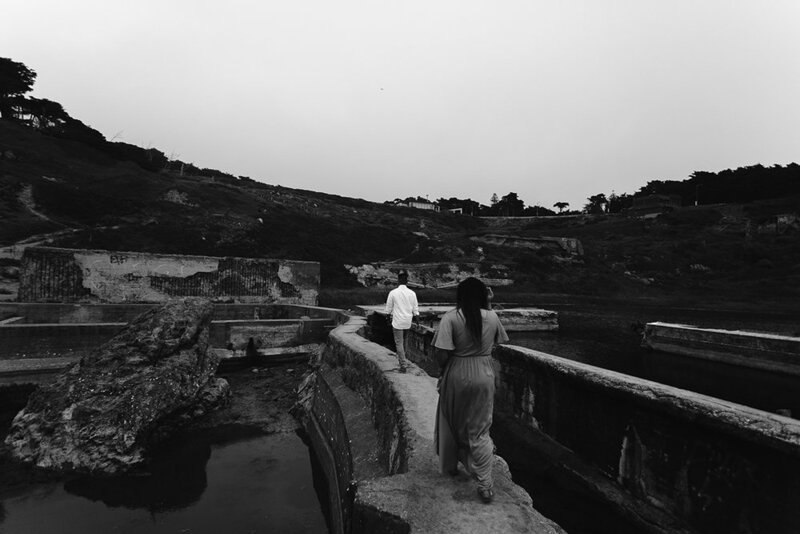 Our next location was at the Land’s End which lead us to the old ruins of Sutro Baths. Although I have shot here before, it is just one of those locations where it is so picturesque, that you will be breeming with ideas after ideas. 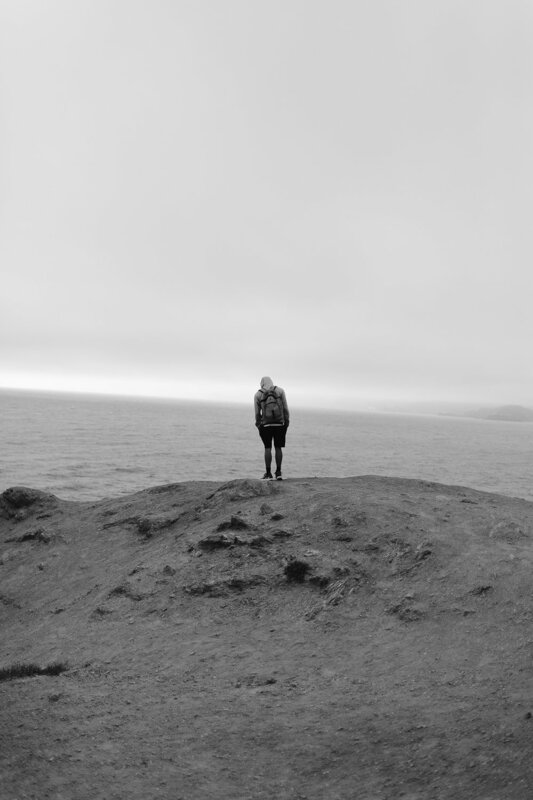 But aside from the beauty of this location, here is where we really felt Karl the Fog. Besides the gloomy, overcast skies, the winds started picking up along with what felt like a twenty-degree drop in the temperature. 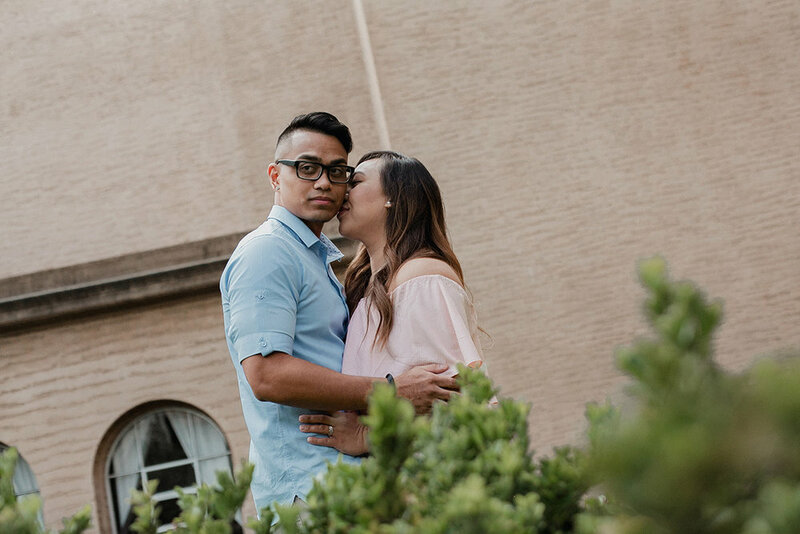 Although it’s an exaggeration, what I can really vouch for are the amazing shots that we were able to capture because of Chester and Maricar’s unyielding fervor during the shoot. These two are just an amazing couple.